FEBRUARY 11, DELRAY BEACH, FL – Today, the Delray Beach Open by VITACOST.com (https://yellowtennisball.com/) announced that world No. 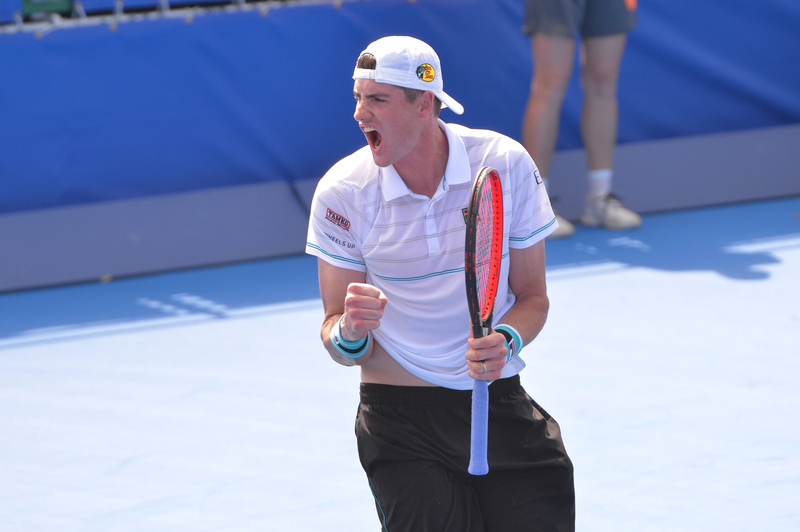 9 ATP player and top American John Isner has received a wildcard for this year’s singles event. Vitacost.com, Inc. is an online retailer of health and wellness products, providing an award-winning experience to customers through its website, www.vitacost.com. Vitacost.com features affordable pricing and speedy delivery on nearly 40,000 items, including dietary supplements (vitamins, minerals and herbs), hard-to-find specialty foods, organic body and personal care products, pet essentials and sports nutrition products. In addition, Vitacost.com strives to motivate, educate and inspire healthier living for customers by creating and curating thousands of helpful tips, expert articles and recipes. Vitacost.com is a subsidiary of The Kroger Co. For more information, please visit www.vitacost.com. The ATP is the governing body of the men’s professional tennis circuits – the ATP Tour, the ATP Challenger Tour and the ATP Champions Tour. With 63 tournaments in 30 countries, the ATP Tour showcases the finest male athletes competing in the world’s most exciting venues. From Australia to Europe and the Americas to Asia, the stars of the 2019 ATP Tour will battle for prestigious titles and ATP Rankings points at ATP Masters 1000, 500 and 250 events, as well as Grand Slams (non ATP events). At the end of the season only the world’s top 8 qualified singles players and doubles teams will qualify to compete for the last title of the season at the Nitto ATP Finals. Held at The O2 in London, the event will officially crown the 2019 ATP Tour No. 1. For more information, please visit www.ATPTour.com.